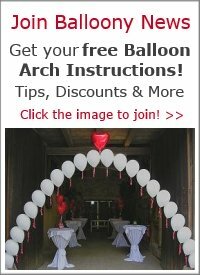 I just learned how to make a five petal flower balloon, but I need to know what's the easiest way to tape it on the wall? Also, I have a hard time making it stay on the wall. Can you also tell me what the easiest way is to inflate a balloon with an electrical air pump? I just purchased one, but it's too powerful. Please help meee! I love that so much and I wish I could be given a step-by-step methods of doing it. Great! 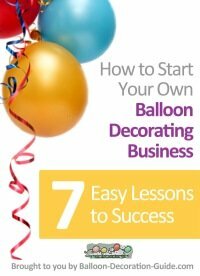 Congrats on learning how to make a flower balloon! The easiest way to stick them to the wall and make them stay there is using a product called "Glue Dots". What electrical air pump do you have? Is it a balloon inflator or a generic electrical pump? Many professional balloon inflators have a digital timer to exactly control the air that goes into a balloon. 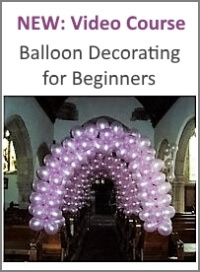 This is a great way to blow up all balloons to the same size without having to use a balloon sizer, and it prevents them from popping! You'll see an example in the video below. The more basic electric pumps won't have that feature, but they should have at least a push-down valve or a pulse button to control the air flow, like the Cool Air Inflator sold by S&S Worldwide. With those buttons or valves, you need to fill the balloon incrementally, until you reach the desired size. It takes some practice to get used to it, and you might burst some balloons along the way... but I am sure you'll master it if you keep practicing. 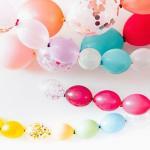 Why don't you submit a photo of your flower balloon to our photo gallery?